I have been on such a purple kick lately! I have been creating for a fresh new baby, for my own (not so) little birthday girl, and starting on some new projects. I am so pleased to be managing more frequent episodes at the moment. Episode recorded on February 19, 2015. Download the AUDIO episode here (53:53). I mention Kristin (who dyes the amazing Voolenvine Yarns) who kindly shared with me what microphone she uses on her podcast. Almond Green Tea by Kusmi. I am wearing my new purple Moneta Dress by Colette Patterns. A chat thread will be posted on the Ravelry forum. I sewed another Moneta dress (pattern by Colette), out of Ponte di Roma. I made this while listening to the Woolful podcast, of which I cannot speak too highly. 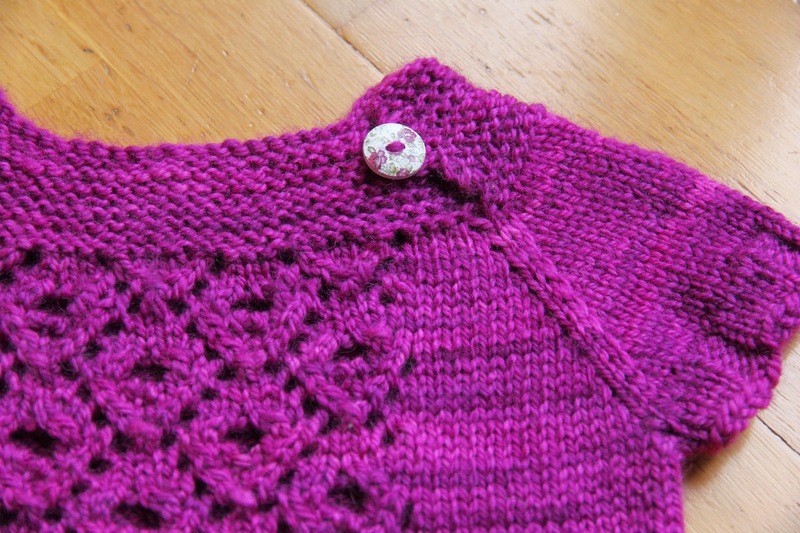 – Lenny by Heidi Atwood-Reeves for my daughter, out of Countess Ablaze BFL Aran in Radioactive Raspberry Jam. 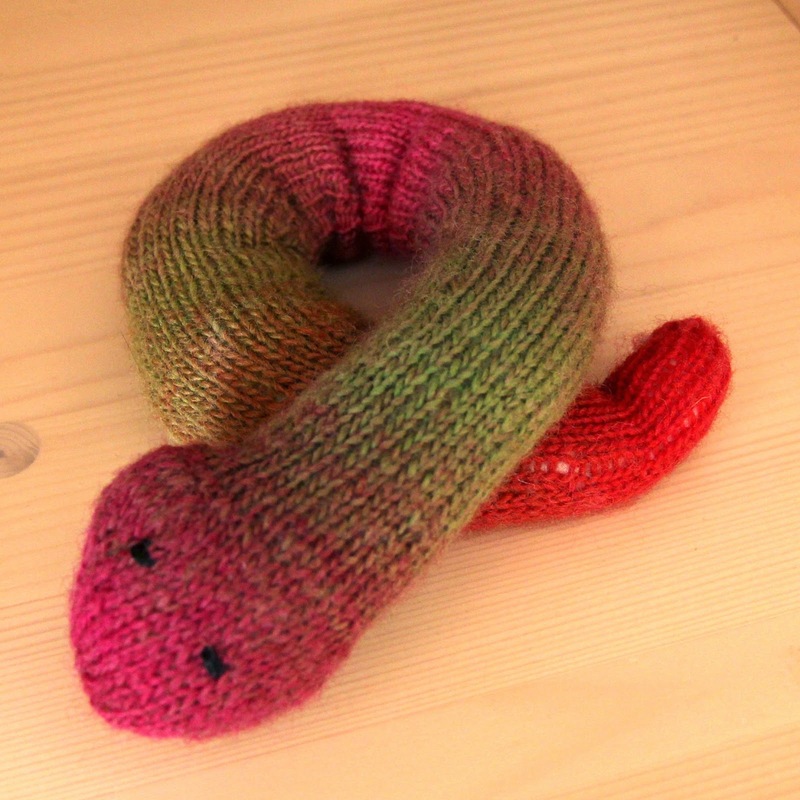 – Curly Snake from Susan B Anderson’s Itty Bitty Toys. Knit out Crystal Palace Yarns Mini Mochi in colour #106. – baby socks with the yarn left over from my DK socks in Adriafil Knitcol (Boccioni colourway). 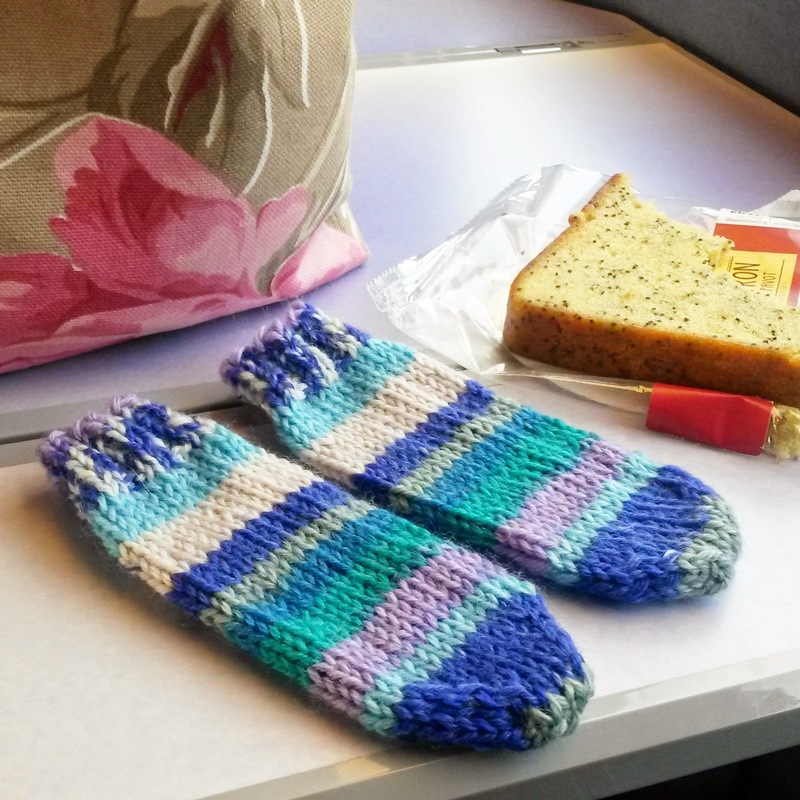 – Socks for Seb out of Online Supersocke 4-fach, in the shade 1530. I placed an order with West Yorkshire Spinners: a ball of DK Bluefaced Leicester from their Country Birds collection (Wood Pigeon colourway), and their Signature 4-Ply in the Pennyroyal colourway. Both are destined to become socks for me. – I skeined and set my Juno Fibre Arts yarn named Wishing Tree: 70% BFL- 30% Sparkle. I’m going to knit it into a Stretcher Quaker Boomerang by Susan Ashcroft. 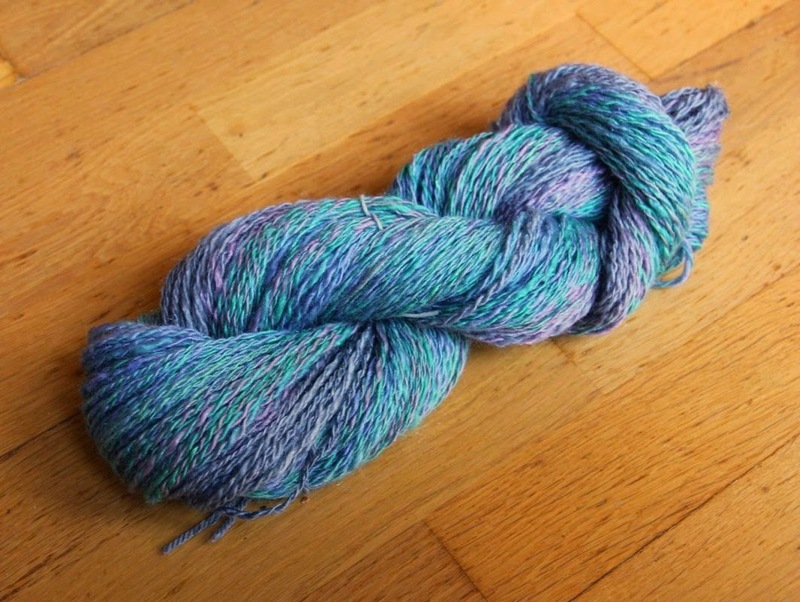 – Inspired by Kristin of Yarngasm/Voolenvine, and Molly of a Homespun House, I spun mini-skeins for a listener of the podcast who is making a sock scrap blanket. I mention my lemon/orange glass squeezer, and why I have a hot drink with freshly squeezed lemon first thing every morning. Hi, I really enjoyed listening and watching your podcast. I love the way you “create ” all sorts of things. Can you tell me if you use an Overlocker please on your knitted fabrics? I am thinking about buying one but am not too sure which one to go for. Any help would be much appreciated. Thank you. Hey Isabelle! Nice pictures! Is it a slice of cake that we see?